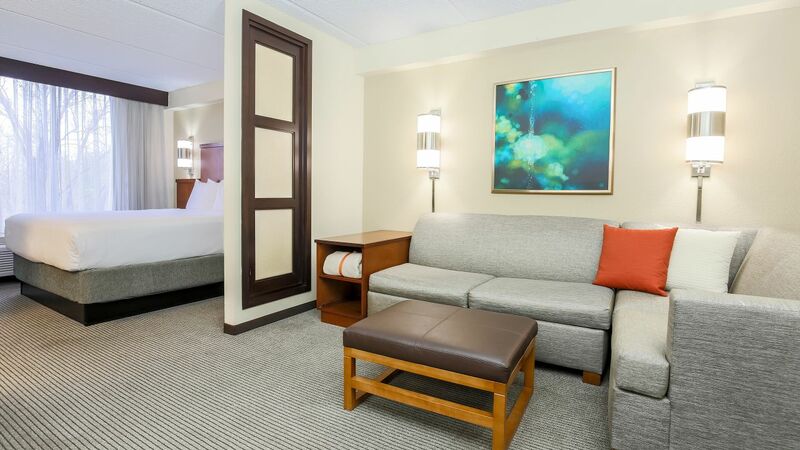 Designed for the modern traveler on the go, our business-friendly Grapevine, TX hotel features 125 guestrooms that combine style, comfort, and high-tech enhancements to create a seamless travel experience. 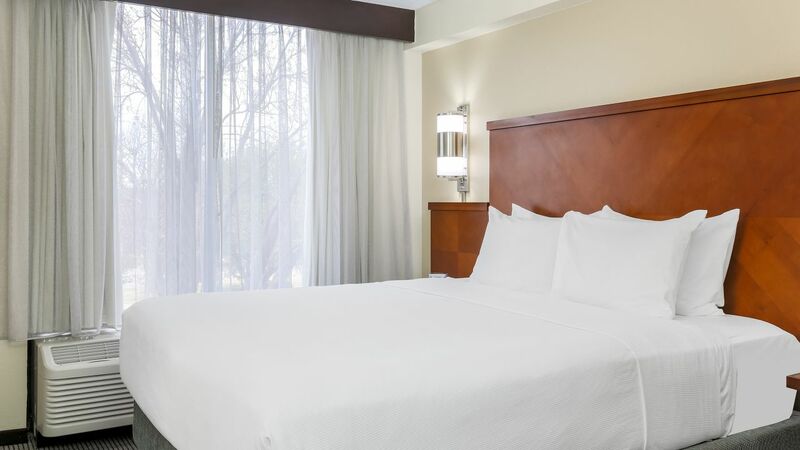 All of our accommodations feature our plush Hyatt Grand Bed®, separate living and sleeping areas, a designated work space, and state-of-the-art media centers. You will feel right at home with amenities such as a 42” flat-screen TV, Cozy Corner Sofa Sleeper, and free Wi-Fi everywhere. 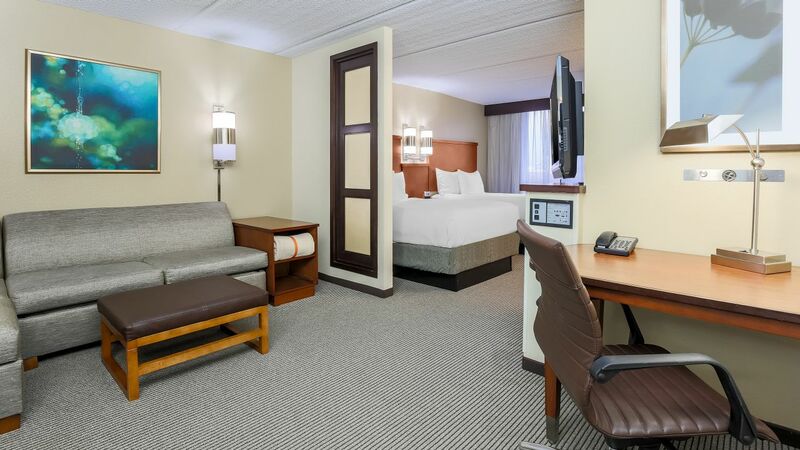 Relax in the modern comfort of our 375-square-foot contemporary style king guestroom with ADA accommodations. Relax in the modern comfort of our 375-square-foot contemporary style accommodations with a king bed and a view from the top. Relax in the modern comfort of our 375-square-foot contemporary style accommodations with two double beds and a view from the top. 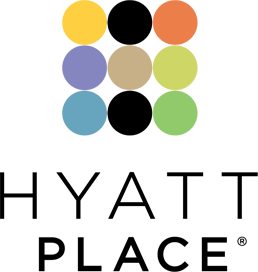 Relax in the modern comfort of our 375-square-foot contemporary style accommodations with two double beds. 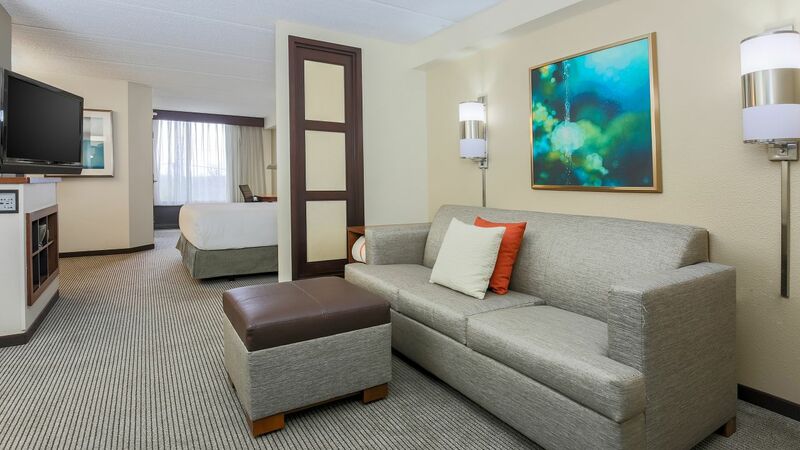 Relax in the modern comfort of our 375-square-foot contemporary style accommodations with a king bed.